Virtual reality is taking off in higher education. VR devices are expected to increase 85 percent by 2020, with gaming and educational applications driving most of that growth. But what areas of VR should educators specifically focus on and what tech can they look out for? “We can expect to see certain trends in VR to move forward, while others will disappear. As devices continue to shrink we will see the development of augmented and mixed reality experiences that will power compelling visualizations, immersive storytelling, gamified simulations and learning experiences,” said Maya Georgieva, an ed tech strategist, author and speaker with more than 15 years of experience in higher education and global education. Georgieva is co-founder of Digital Bodies, a consulting group that provides news and analysis of VR, AR and wearables in education. Her partner in crime is Emory Craig, an educator, speaker and researcher of VR and wearable technologies in the learning environment. He is currently the director of e-learning at the College of New Rochelle, where he leads instructional technology initiatives. Craig and Georgieva both agree that the VR market is rapidly changing, but there are various technologies in hardware, distribution platforms and content creation software that are ready to use. Here are five areas with promising developments for educators. 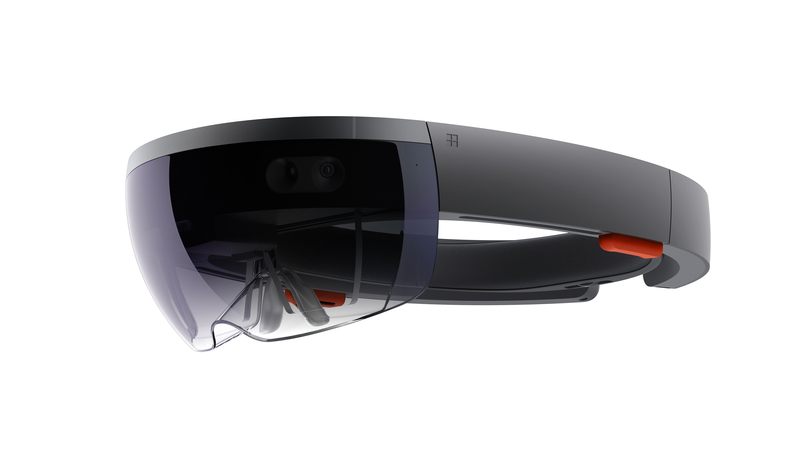 While headsets like the Microsoft HoloLens,which Microsoft refers to as a mixed reality device, are sought after for being highly advanced in terms of applications and content, these run on the pricier side. “Most schools have just one or two, while many have zero,” Georgieva said. “Right now, if you want the Oculus Rift or HTC Vive, which I really like, you’re talking close to $2,000 per setup,” noted Craig. As VR achieves more mainstream application or commercial adoption, however, educators can expect to see more high-quality headsets at lower price points. Georgieva recently gave an industry talk at the 2017 SXSWedu conference, where she shared with educators what to expect in headsets and options that will enable them to experiment with VR without breaking the bank. In addition, many Kickstarter crowdfunding efforts are bound to make high-end headsets more accessible for teaching. “That’ll be a way for schools to get more innovative and get to experiment with these devices at lower price points,” Craig said, citing the NOLO project as an example, which will be releasing its product in June. 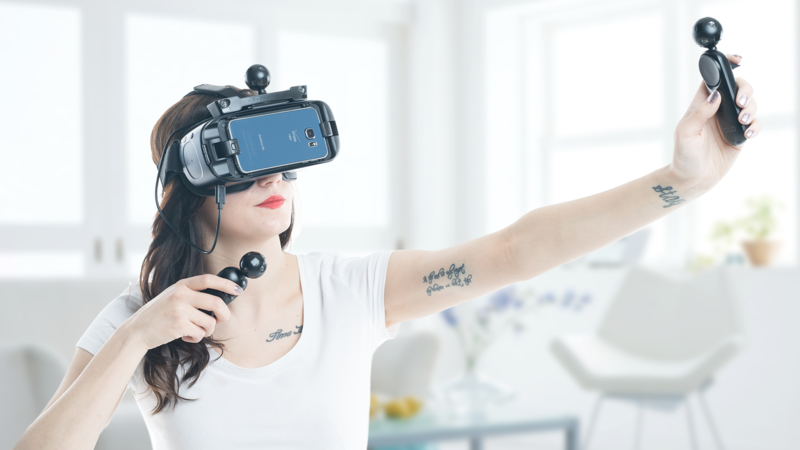 The NOLO system is meant for mobile VR headsets and gives users that “6 degrees of freedom” (or 6 DoF) motion tracking that is currently only found in high-end headsets. Craig and Georgieva both agree that hand controllers add a whole new level of engagement for users. “I’ve been using Google Daydream and I love it because adding a hand controller to mobile VR, I think, makes a world of difference,” said Craig, pointing out that Samsung has also implemented its own hand controller for Gear VR. “Microsoft just announced their new motion controllers at Microsoft Build, which together with the headset will bring the price to $399. While we still have to test the quality of these devices, this no doubt will open new options for experimentation,” Georgieva said. Both HTC Vive and Oculus have hand controllers that enable full-motion interactive experiences that can power experiential learning. “We already see interesting applications for STEM education. It will be also interesting to see how platforms like zSpace, with their stylus and AR glasses, continue to develop their immersive applications,” said Georgieva. There is a great deal of experimentation going on with VR content at the moment. Most of the content development is happening in the fields of entertainment, games and sports, but surprisingly “a lot of interest and energy is being pulled toward the development of medical content and we see the visual fidelity and interactive options maturing rapidly in virtual medical simulations,” according to Georgieva. 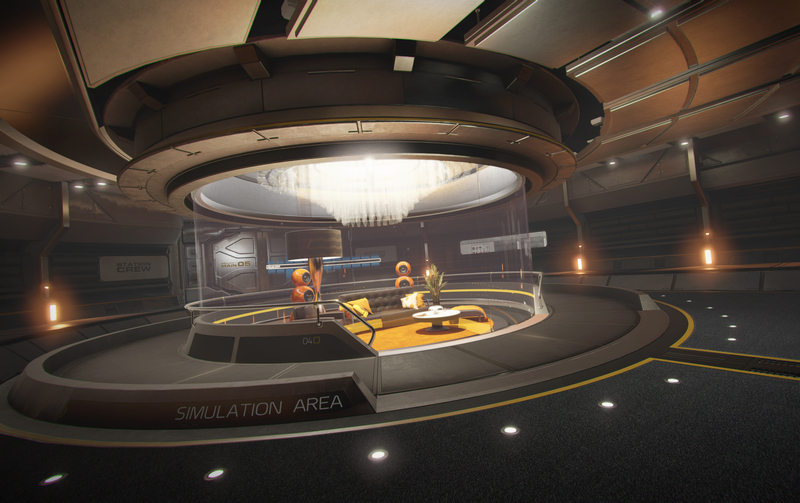 Game engines like Unity and Unreal are often a starting point for creating simulations. However, these platform can be somewhat complex for non-technical users. Digital Bodies says other platforms may emerge that should make it even easier for educators to get started creating and using virtual experiences. In addition to platforms, there are a lot of apps in the works that will enable users to tag content, add layers and otherwise manipulate VR content. “We are witnessing a variety of mobile apps maturing and likely to see more development over this summer,” Georgieva said. Newer 360-degree cameras have introduced more user-friendly features, like video stitching and live streaming, which educators can utilize to introduce more video content in course materials. “I’ve talked to faculty and students and they’ve said [VR video] content is much easier to produce. At the same time, they get to create real stories from that — not just a field trip but more for a storytelling type of experience or project,” Craig said. 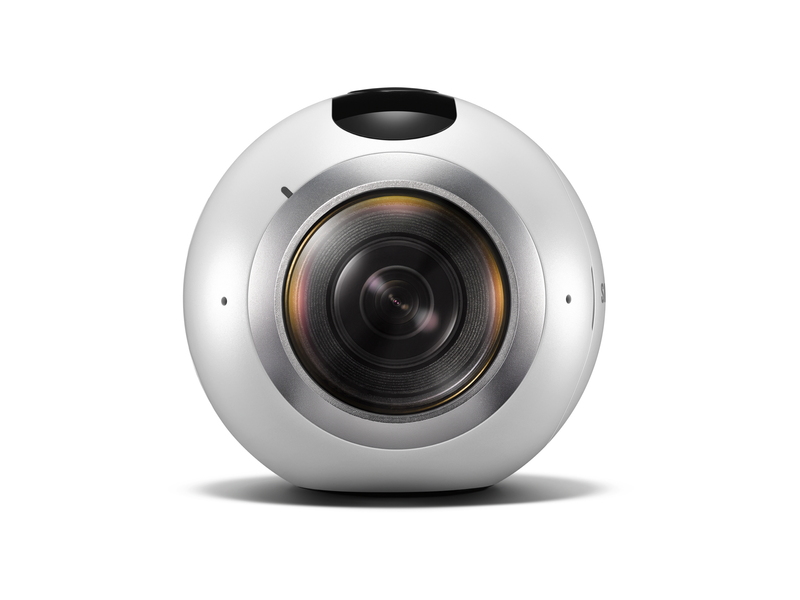 Georgieva also sees more products coming up in this category, such as the Samsung Gear 360 camera that was released last March. It can capture video in 4K resolution, live-stream in 2K resolution and allows users to edit and share content in real time. Aside from steep setup costs and technological barriers, another challenge in using VR in a classroom or lab is that the student is isolated within the experience. 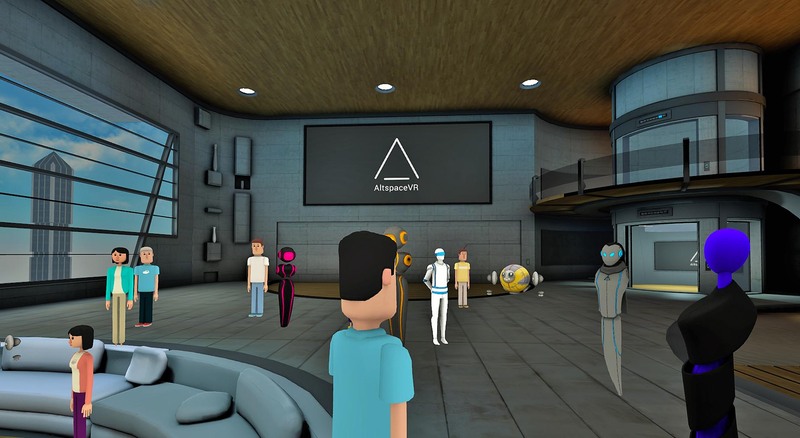 AltspaceVR has tremendous potential, he noted, since it uses avatars and supports multiplayer sessions that allow for socialization and user interaction. “With the front row feature, you can go and be part of an event or audience. You can be part of a small group with your friends, or go alone. No matter which option you choose, you feel like you’re in direct contact with the performer,” Craig said. “Facebook Spaces may offer a compelling example of how we can leverage the social aspect of VR, from inspiring virtual clubs and tutoring options to experiential learning that can greatly enhance both the onsite and online student experiences,” Georgieva said. Article was updated May 30, 11:30 a.m.